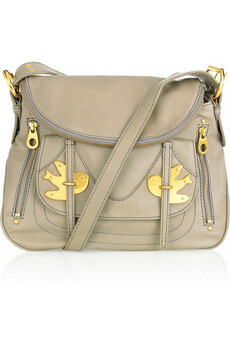 The gold bird plaques are sooooo adorable and make this otherwise plain bag fun! I love the abundance of pockets too...fun and practical?! Buy at Net-a-Porter for $430.